We specialize in commercial landscaping including large office complexes, where image is important to the business; landscape is the visitor’s first impression of that image. Our clients include city and state government owned properties, and HOAs (homeowners associations). We are a better alternative to big-box landscape companies. Our clients appreciate the efficiency of dealing with just one person, one who is who is easy to contact, responsive, and prompt. We handle routine weekly maintenance, landscape installs, and special projects. 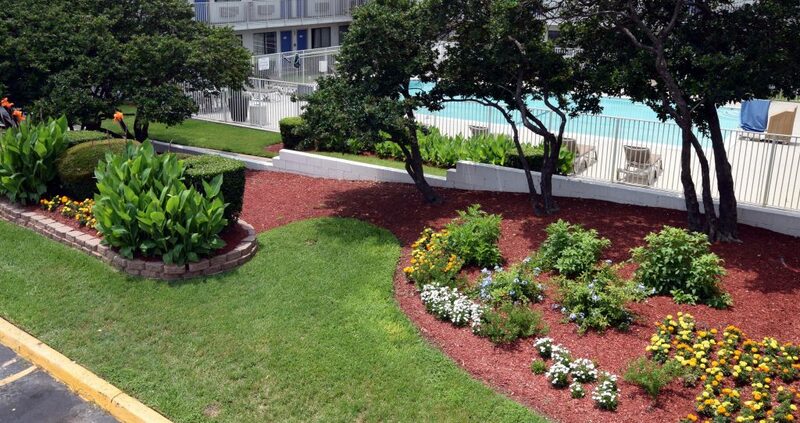 Working on your property, we can handle all of your commercial landscaping needs. We send enough people so we are in and out quickly, so it won’t take unnecessarily long hours to do the job. We have earned our excellent reputation as being easy to deal with. We’ll work with you on scheduling service, on the kind of agreement you prefer, weekly, bi-weekly, monthly. We have earned our reputation as being great with follow through.